The last years Devoxx Poland (a.k.a. 33rd Degree) has been sold out around early May, you’ve been warned! 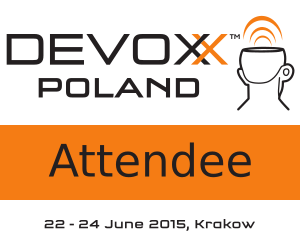 Devoxx Poland Blind Bird price starts from 599 PLN (150 EUR) for all 3 days. The closer to the conference, the price is higher. A month before it costs 999 PLN (250 EUR). 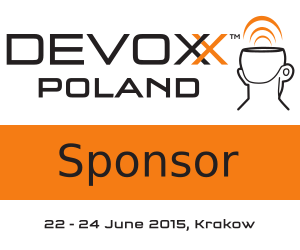 The Devoxx 2014 Poland call for papers is now open till 15th February 2015. We will keep CFP open for 1 more month until 15th March 2015, however we will start accepting submissions on 16th February 2015. So, if you want to have highest chances, submit your talk before February 15th 2015. Import Note: Make sure you use the Main Entrance that is from the South of the building. There are special discounts for Devoxx participants in following hotels. Best Western Plus Q Hotel – It is just next door to conference venue. Use promo code DEVOXX. Andel’s Hotel – It is close to main square. Use promo code DEVOX2015 and code type GROUP CODE. Chopin Hotel – Use promo code DEVOX2015 and code type GROUP CODE. Thanks to TouK, there is special 10% discount for Devoxx participants with password: “TouK” in following hostels located around 12 minutes walk from ICE Krakow Congress Centre. If you are speaker, sponsor or participant of Devoxx Poland, fell free to use one of our badges below on your website. We are examining many different ways of identification that will be the least intrusive and at the same time the most usable. IMPORTANT NOTE: No matter what solution we will choose, wristbands/IDs are strictly personal and can’t be shared! We’ll email your eTicket 2 weeks before the conference using your registration email. 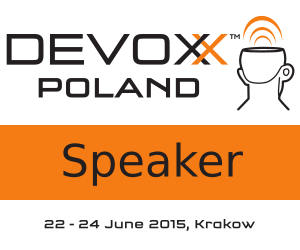 Make sure you remove info@2015.devoxx.pl and registration@2015.devoxx.pl from your spam folder. Relive the many hundreds of Devoxx presentations on Parleys.com including Belgium, France and the UK. You can find most important places for Devoxx Poland on this map. There is ICE conference venue, hotels, pubs, restaurants, sightseeing places, etc. If you think we need to add something to the map, please email us. If you want to travel by public transportation here is very useful service. 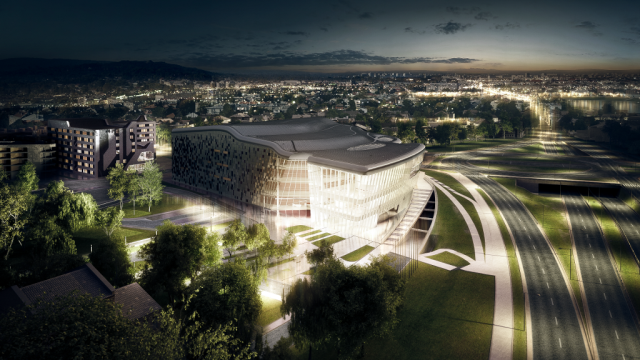 We have already put the Conference Venue as a destination point. If you decide to travel by car, please notice that there is 300 free parking spots in the ICE underground parking. Please show your ticket at the entrance to avoid being charged for parking. Please note that there will be 2000 people, so if you don’t need a car, please use public transportation, bike or your own foot. This way those who travel from outside of Krakow by car will have place to park. You can also park in front of the ICE conference centre. However, those areas are not reserved for conference participants.